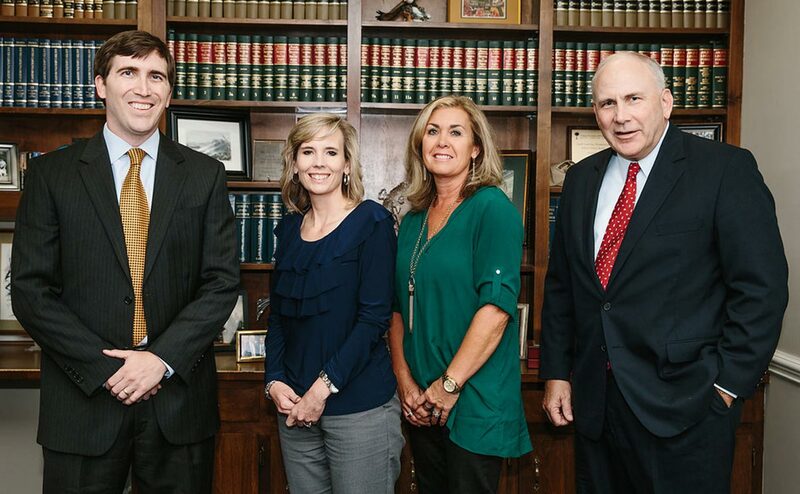 Hayes & Hayes, LLC is committed to the representation of the individual in and around York County, South Carolina. Our practice focuses primarily on representing clients in personal injury and Social Security disability cases, criminally accused clients, and clients with domestic or family law situations, such as divorce, custody, or visitation issues. Our attorneys have experience representing clients in a variety of personal injury situations, including car accidents and slip and fall accidents, and in seeking the maximum benefits allowed under the Social Security disability program. Our office also has considerable experience representing the criminally accused client in South Carolina on a wide range of charges, including DUI, drug possession, and domestic violence. In addition to our primary areas of practice, our firm also has extensive experience in real estate matters and in probate matters such as wills, powers of attorney, and health care powers of attorney. Each of our practice areas is complex and difficult for the average person without legal experience to maneuver. At Hayes & Hayes, LLC, we bring our expertise to help our clients achieve the best legal result possible, whatever the situation may be. It is our desire and commitment to help those in the York County area navigate the difficult areas of personal injury, Social Security disability, criminal law, and domestic or family law situations. Our practice focuses primarily on representing clients in personal injury and Social Security disability cases, criminally accused clients, and clients with domestic or family law situations, such as divorce, custody, or visitation issues. Our attorneys have experience representing clients in a variety of personal injury situations, including car accidents and slip and fall accidents, and in seeking the maximum benefits allowed under the Social Security disability program. Our office also has considerable experience representing the criminally accused client in South Carolina on a wide range of charges, including DUI, drug possession, and burglary. In addition to our primary areas of practice, our firm also has extensive experience in real estate matters and in probate matters such as wills, powers of attorney, and health care powers of attorney. **Hayes & Hayes, LLC makes this site available as a service to clients and friends and is for informational purposes only. It is not intended to be a solicitation or to render legal advice or to establish or create a formal attorney-client relationship. No recipients of content from this site, clients or otherwise, should act or refrain from acting on the basis of any content included in the site without seeking the appropriate legal or other professional advice on the particular facts and circumstances at issue from an attorney. Some pages may provide links to other information resources on the Internet. These sites are not endorsed or supported by Hayes & Hayes, LLC and the firm does not vouch for the accuracy of the information provided therein.